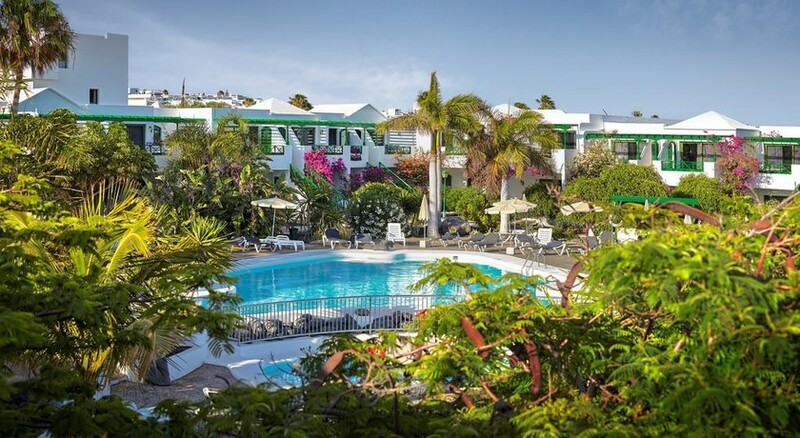 Located in Puerto del Carmen, in the southeast of the beautiful island of Lanzarote, the HG Lomo Blanco Apartments offers perfect accommodation for those who love the beach and tranquility. The hotel provides modern apartments with a terrace, a bathroom with shower or bathtub and a full kitchen; this pleasant and luminous accommodation also has one or two double bedrooms and a living room with sofa bed and television. 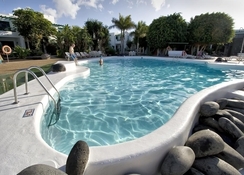 HG Lomo Blanco Apartments complex has several swimming pools, a play area for children and a recreational room. In addition, guests can sunbathe on comfortable loungers surrounded by lush gardens and the hotel also offers laundry and car rental services, as well as beauty and wellness treatments. Rancho Texas Park is only five minutes away from the resort and the nearest airport, located in Arrecife, is about nine minutes by car. 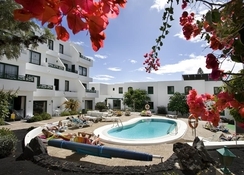 HG Lomo Blanco Apartments are located in the town of Puerto del Carmen, southeast of Lanzarote and a few minutes’ walk from the beach. Nearby there are several leisure centers, such as Rancho Texas Park, a zoo that includes lakes for kayaking and other water sports. The Lanzarote golf course is five minutes away, and the Lagomar Museum is just over half an hour away. The fascinating nature park of Timanfaya, where the Montañas de Fuego is located, is about 35 minutes from the resort. The HG Lomo Blanco Apartments offer modern, bright and functional spaces where guests will always feel welcome; its maximum accommodation capacity is six people and among the equipment stand out satellite television, safe and internet connection. The apartments have one or two bedrooms, a full kitchen and a bathroom with a bath or shower. In addition, rooms have a terrace from which you will have a sea view. The rooms that HG Lomo Blanco Apartments offer have a fully equipped kitchen for guests to cook meals of their choice. Additionally guests can find a pleasant ambience at the café-bar and can choose from an extensive menu at the restaurant. 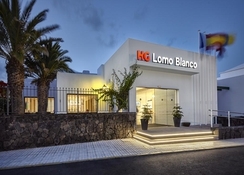 The HG Lomo Blanco Apartments complex is an establishment where guests will enjoy a peaceful vacation, in an intimate, secluded and peaceful environment. 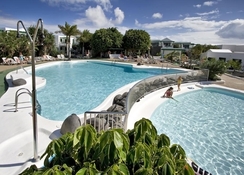 The complex has two swimming pools -one of them specifically for children. Guests can enjoy tons of relaxation and, for more dynamic clients, there is the recreational room. The youngest members of the family have a children's play area and the establishment also offers wellness and pleasure services, such as massages and beauty treatments - upon request. 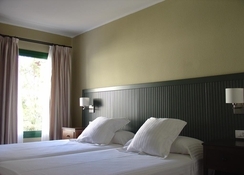 There is also a modern gym and guests can use the laundry service. Wi-Fi and car rental service are other facilities offered by the hotel.